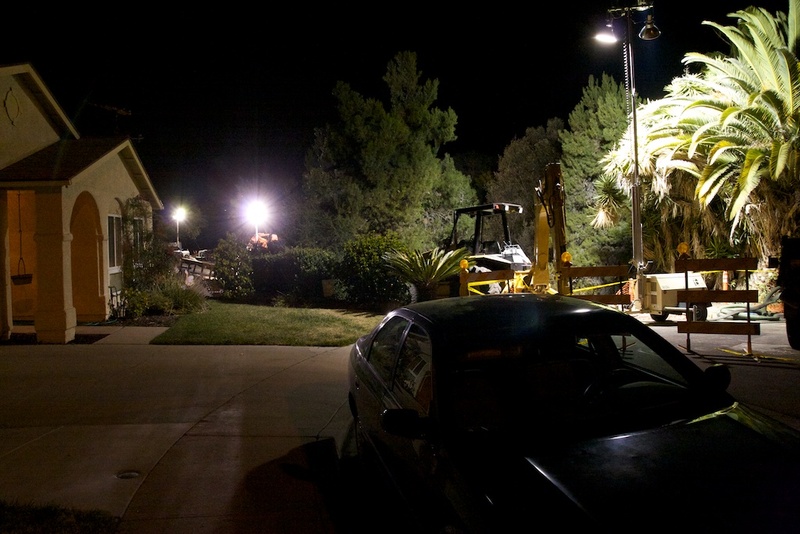 The scene outside our home tonight as the city bypasses the pump station next door. Lot’s of noise, but the pump station next door gets to go bye-bye forever. I’ll take it.